Cultivating social business success requires renovating your communications to find value in your human and social capital. 2BalanceU’s methodology of cultivating a landscape for maximum added value of social communications tools (dialog not broadcast based) implementation. Achieve balance between listening and broadcasting for success in the new marketplace. It is always interesting working in social media how cases sometimes just fall into your lap. I have made it a policy with my own work to try to focus on the positive side of things. The positive side of this is that I get an active case study to use with my clients of what NOT to do. To start with, we must remember the range of what social media entails, we are not talking just Facebook here. Communities and dialogs of all sorts, blogs, microblogs, social network sites, intranets, are only effective if we partake in the dialog with which they are designed for. When we invite dialog, we must take part in listening and responding, not just setting up a forum. We have all had moments of frustration that involve the hardware and drivers of various gadgets and connections. This time, it was my HP printer, yet again. When it works, I love it. Unfortunately, more often than not, it doesn’t agree with me. I think I have removed and re-installed the printer drivers and software more times that I care to name. This time it was the printer cartridges, which is clearly where they make their money. After the printer demanded, yet again, to replace the ink cartridge that I recently replaced. Despite replacing it yet again, it continued to refuse printing for lack of yellow. 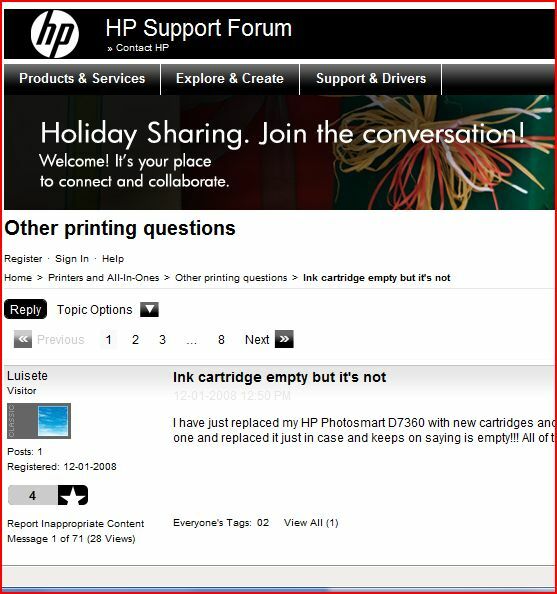 The natural solution was go to the HP support site. To my grave disappointment I discovered a years worth of similar customer complaints over eight pages, without one single response from a HP support representative. The solution presented, by several of the customers, never buy another HP product and switch to Canon. Very sad indeed. This is exactly what NOT to do when your company decides to enter the dialog, be-it a forum, or other forms of social media. Out of curiosity, I checked their Facebook presence. Many official sites, not so much activity and all employees (ie. no trust). I must say that I am not surprised given the start. So I shall tweet and maybe if I am feeling adequately irritated, I will start a Facebook fan page for fans of “HP doesn’t listen”. I could even invite all the poor victims of the support forum that had the same complain, after all united voices have greater impact. I have now replaced my printer with a Canon, as I need to continue working, and the printing job cannot wait. My HP printer at home has been acting up too, so we shall see how long it takes to get to “adequately irritated” even for a patient person like myself. I am just one of many. Shall we practice a ferocious roar for disturbing our workflow, wasting our time and our money. Create a clear policy on what type of social media interactions are within the professional area of your employees. For example, human resources, should be using Linkedin and Facebook to review potential new candidates. They should also ensure that the company listings are current and appropriate. A great example is Boston based recruiting company Hollister staffing, where they are also active in groups for seeking new candidates from the experts. Divide time between monitoring, replying and feeding. Some of this can be automated, and the tools are improving for monitoring. Be careful to keep it authentic. Too much automation in reply and feeding can have a reverse effect. One company to watch that is doing some interesting things here is Stockholm based Springtime. 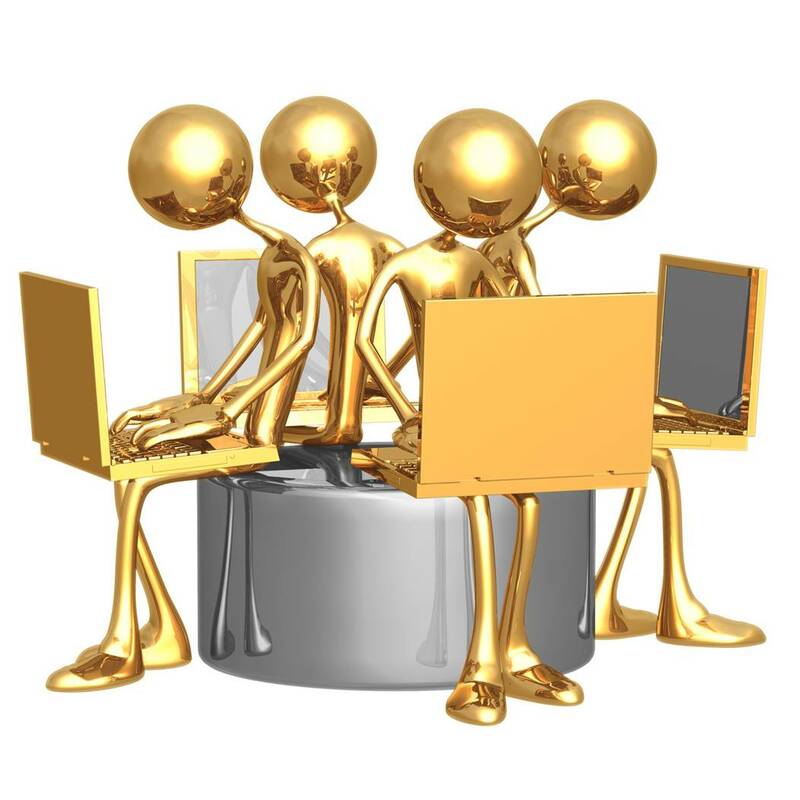 They do the filtering and deliver to the appropriate expert within your organization. Keep it professional: When on the company twitter account, posts should be relevant and of interest. Share articles of interest to show your keeping current. When posting news, always link back to company blog or website. Provide time constraints. Keep the talk clean, limit slang and avoid swearing. Jeff Bullas in Sydney has written several great blog entries about the importance of linking back. Learn how to use social media as a resource for new information both pre-existing and that which comes from requests. Teach your employees to do the same. The more clarity you have in your policy for social media use in the workplace, the more effective your team will be. They will thank you for it and you will see the results. It is helpful to always remember that social media and networks are tools for knowledge sharing in a dialog, not simply new media channels. The sooner you create a clear policy for use, the better off you and your organization will be.